Kids will just absolutely LOVE Lobo! 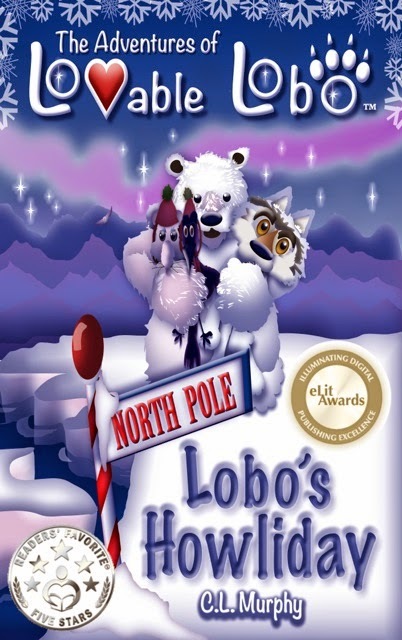 Lobo is an adorable little wolf pup that that in this book is needed at the North Pole. Santa’s new fleet of reindeer caused a power outage due to them needing to be charged before they could be used and it resulted in the Northern Hemisphere having a power outage. Never fear, Lobo finds his way back to the North Pole and saves Christmas. Kids will learn all about life in the Arctic, the Northern Lights, all the different animals that live in the Arctic, and about icebergs. This is a great board-book that would be perfect for little ones that are 3 and up. C.L.Murphy told a wonderful tale and created an sweet main character in The Adventures of Lovable Lobo.